A new era in soft tops! 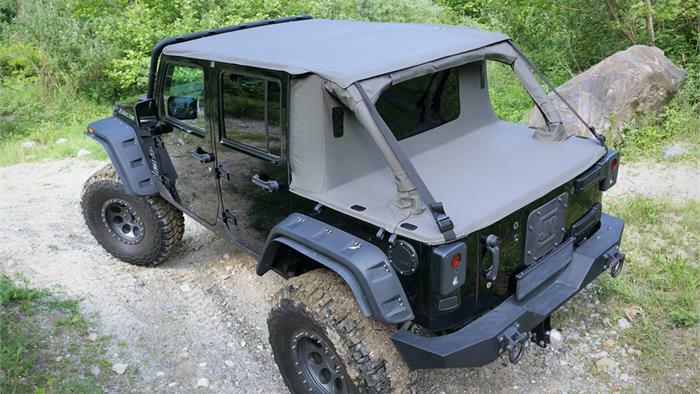 SUNTOP® CARGO TOP U2 and U4 have the sporty look you are looking for. Completely closed to protect you from the elements. Rain, wind and dust proof. A frameless fit on the standard Ultimate top hardware, without hard parts except for one bar that keeps everything perfectly in shape. The roof can be rolled up on the top of your windshield, secured by two latches, leaving your trunk free for your luggage. There is a large, DOT approved tinted window for perfect vision. 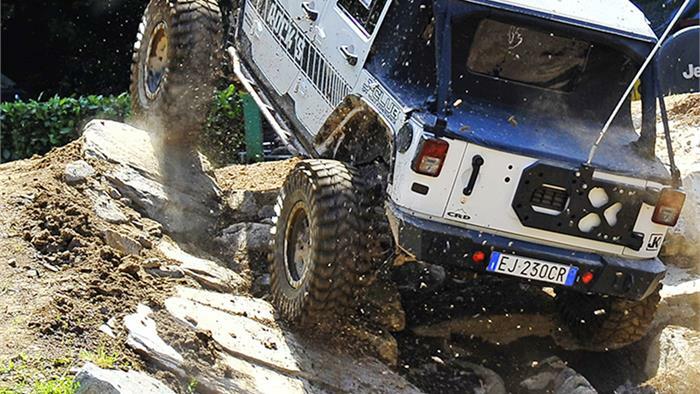 In the 4 door JK, the top can be used with or without rear safety belts. 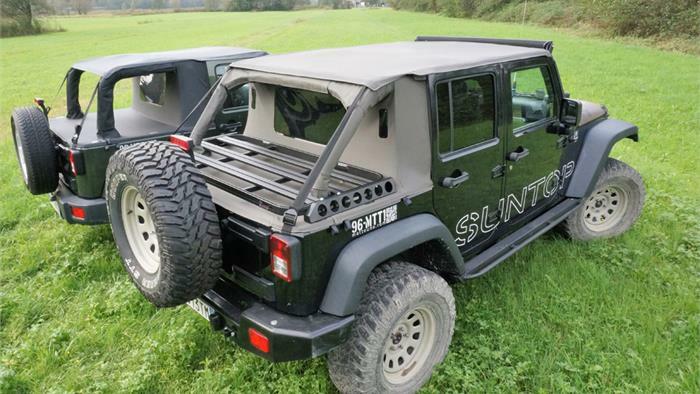 The vertical shield or the tonneau cover can be opened separately. 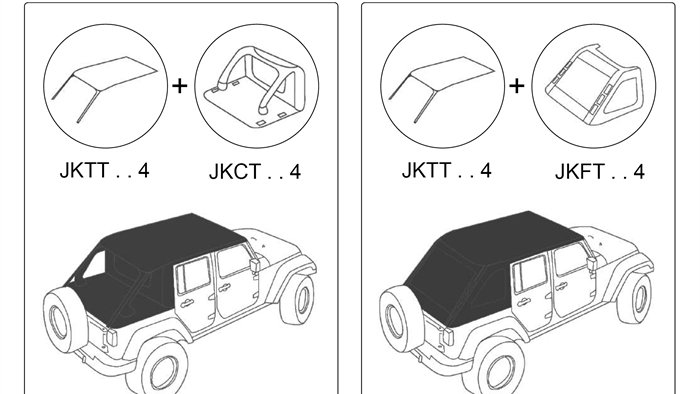 Roll cage covers are supplied in the kit. Top ( including a complete hardware, nothing else is required ) , and Cargo windows.